Should buses be running today? Why aren’t the buses running today? Why is the bus to Dunstable running but the bus to Fort Assiniboine isn’t? and… I can’t believe the school buses are running today! **Note: Even if the school buses aren’t running, schools will be open. Who decides if the school buses will or won’t run when the weather is bad? Our school buses travel approximately 11,000 kilometres each day. 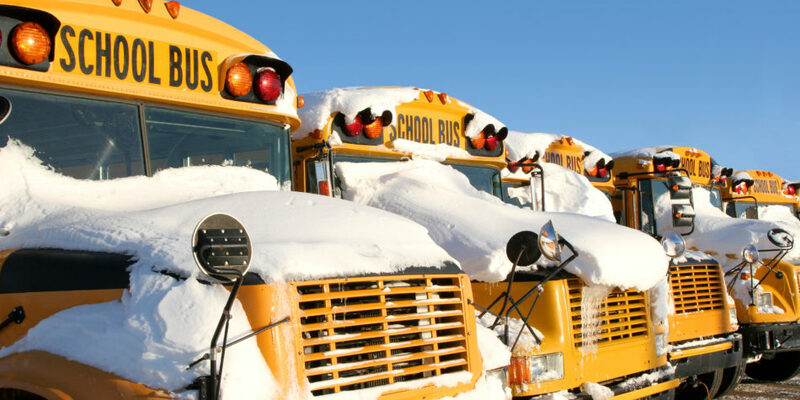 Because weather and road conditions vary from region to region, decisions about whether or not to cancel a school bus or buses are made as close to the local community as possible. If a big storm is brewing, Transportation Director Shantelle Haitel will be up early in the morning to gather information so she can decide before 6 a.m. if our school buses will run or not. She also monitors the Weather Network; reviews Environment Canada reports and gathers reports from school bus drivers who live across the division. by posting notices on the division website the PHPS Facebook page. Make sure your child is dressed for the weather. If you are concerned about sending your child to the bus stop or school because of bad weather or roads – even if our buses are running – you can always keep your child home. For more information contact Shantelle Haitel at 780-674-8510.